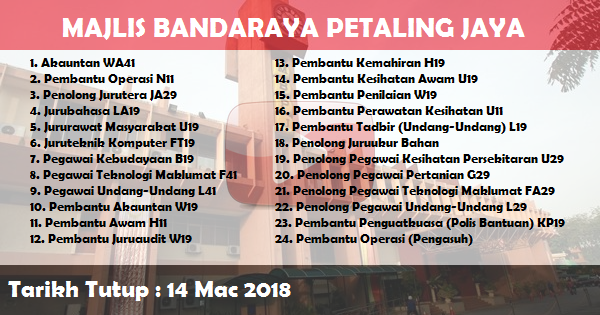 Petaling Jaya City Council or Majlis Bandaraya Petaling Jaya (MBPJ) is a local authority which administrates Petaling Jaya City and adjoining areas. This agency is under the Selangor State government. MBPJ are responsible for public health and sanitation, waste removal and management, town planning, environmental protection and building control, social and economic development and general maintenance functions of urban infrastructure. There are two MBPJ main headquarters: MBPJ Headquarters at Jalan Yong Shook Lin and Menara MBPJ or MBPJ Civic Centre at New Town (Section 52).